Probiotics, can they help your dog stay healthy? Probiotics for dogs, can they really support health? If you are confused about dog probiotics and if they really help pets, you’re not alone. After over a decade of seeing the benefits of probiotic use in myself and in my dogs I’m convinced that the most important way I can help my dogs stay healthy is by building the immune system first. 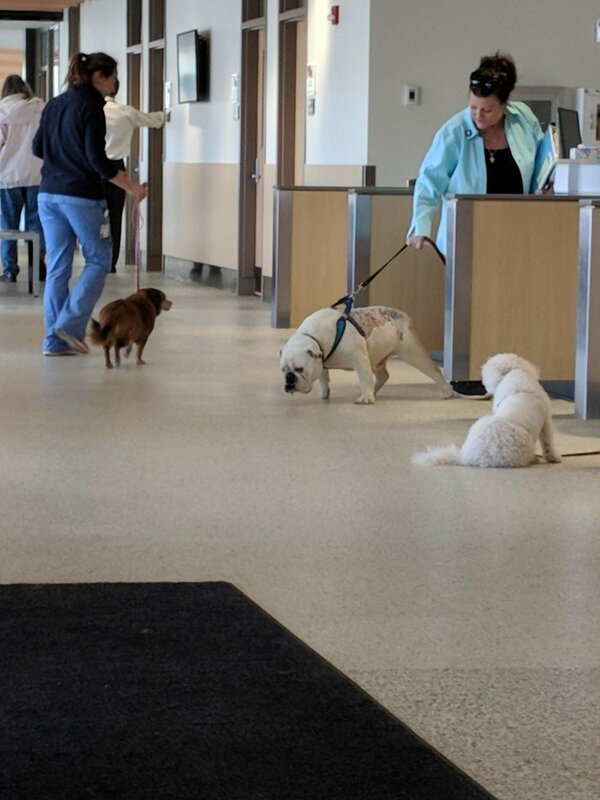 I recently stood watching a steady line of dog owners as they checked their pets in for treatment at a large teaching animal hospital in our area. Nice looking owners with pets of all ages; a shaggy brown and white Jack Russell sporting a cute red bandana, an elderly Bichon with a serious looking bandage wrapped tightly around her abdomen, the entrance doors slid open every few minutes to usher in one serious case after another. Worried looking pet owners who loved their dogs and were probably not only concerned about helping them, but as I watched an elderly man in a wheelchair with a small red dog in his lap wheel in, many of them also hoping they could afford the high cost of trying to help their pets get well. I couldn't help but wonder how many of them might have prevented some of their pet's health problems with changes in the way they cared for them? Not all illness can be avoided with supplements and diet, but making wise choices before pets get sick can be life-changing, and many dogs that are already suffering health problems can be greatly helped as well. Does your pet receive monthly toxic flea drops? Or flea collars or chews? Proven to be carcinogenic and harmful to children that are exposed to them for up to 6 weeks after application. Has your dog had yearly vaccinations? Don’t forget those puppy vaccines which contain up to 32 separate vaccines. Excess vaccines are blamed for a myriad of issues including the epidemic of dogs with serious allergy issues. Feeding dry kibble? Most if not all are devoid of living nutrients and processed at such extreme high temperatures that nothing living survives the manufacturing process. Was your dog spayed or neutered before one year of age? New studies show that early neutering can predispose your dog to a multitude of health problems including cancer, hypothyroidism and joint disease and behavior problems. Could probiotics help Golden Retrievers live longer by helping build a stronger immune system? Studies show that probiotics can help dogs in important ways and more benefits are still being added. Research has repeatedly shown that probiotics can help prevent some forms of cancer. Giving your dog probiotics help her fight off viruses like canine dog flu. Daily probiotics populate the digestive tract with friendly bacteria which help chronic issues like IBS, diarrhea and gas. Probiotics can help prevent deadly bloat in dogs. Giving your dog a high quality probiotic can even help reduce excess shedding and support a healthier skin and coat.